The annual trek of Congressional Medal of Honor recipients flying into DFW Airport and traveling to Medal of Honor Weekend in Gainesville is scheduled for Wednesday. 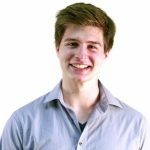 As usual, there will be a large motorcade of public safety vehicles honoring and escorting national heroes to their destination north of Denton County, according to a county news release. Current estimates are expecting the motorcade to stretch 8-9 miles long with well over 550 vehicles from a record number of agencies participating. 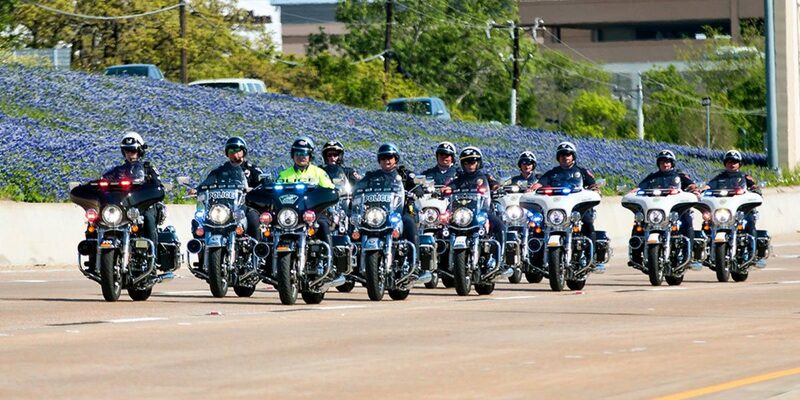 The motorcade is expected to leave the staging area on the south end of DFW Airport between 4-5 p.m. The motorcade will cause traffic delays along the route, which will follow Hws 183, 360 and 114 to I-35W. Drivers should pull to the right lanes when the motorcade approaches them from behind. Some parts of the route, and many access points, will be temporarily shut down for the motorcade. 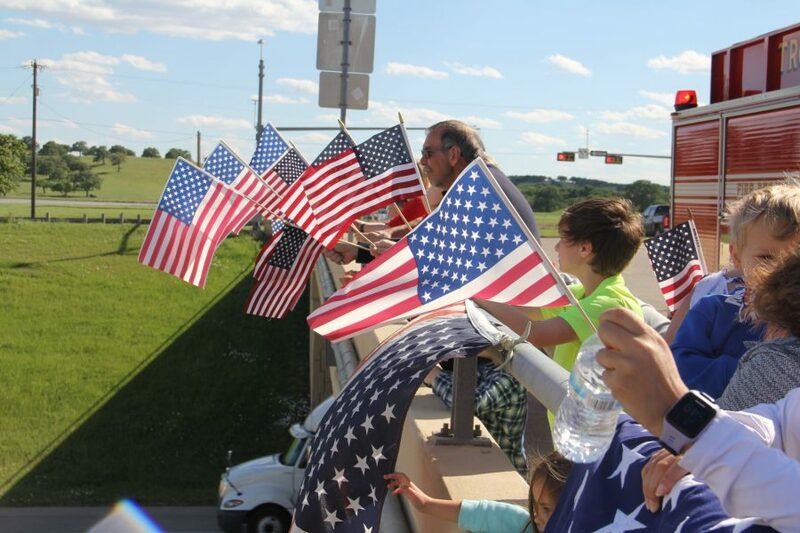 Many residents gather each year to welcome the Medal of Honor recipients, often setting up on bridges and overpasses above the motorcade route with American flags and cheering as the motorcade passes below.